Send Exotic Peach Roses to Chennai. Gifts to Chennai. Send Flowers to Chennai. Description : This lovely bunch of peach roses will definitely bring a big smile on the face of the recipient. 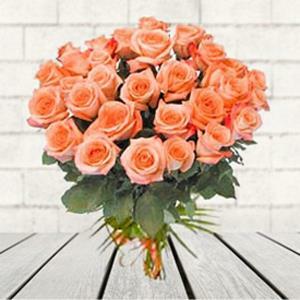 Send this 48 peach roses bunch to Chennai on a special occasion through Gift2Chennai.com. You may also send Gifts to Chennai to your near and dear ones through us. We ensure a safe, secure and timely delivery of your Gifts to Chennai.